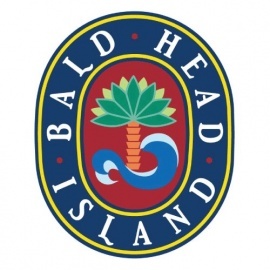 This boutique carries resort apparel for everything Bald Head Island. Their "clothing for coasting" is inspired by all the island activities from kayaking & fishing to turtle walks, golf, tennis ..
Pros: Several locations in North and South Carolina and you can order online too! While visiting Bald Head Island, we had some friends that took us to the Club and I have to say, what an amazing experience! Pros: Amazing food and atmosphere at the Palms. They had golf cart valet service too! You can't beat the view. Also pretty amazing this wasn't even the first lighthouse on the island! Pros: Amazing view with incredible sights of both the island and the ocean. Cons: Gotta get to Bald Head Island, and that requires a ferry. A def do if you're already there however. Bald Head Island is a two-mile journey across the Cape Fear River from Southport and is the site of Old Baldy, North Carolina's oldest standing lighthouse. You can only reach Bald Island by passenger ferry, private boat or air. It's been featured as having some of the best beaches in the country and has been on popular lists like American's Best Beaches. Bald Head Island is 14 miles of pristine beaches and 10,000 acres of which is untouched beach, marsh, and forest preserves. It's a perfect vacation spot for an intimate retreat for nature lovers. The Old Baldy lighthouse is visible from Oak Island and has decades of restoration work. You can climb to the top of the 108 steps to see the keeper's cottage on the property. Day trips to Bald Head Island are popular and Bald Eagle Tours offer seasonal attractions. The Bald Head Island Conservatory and Painted Bunting Tours are good options for bird viewing. Touch Tank offers fun for the entire family with snakes, turtles, sand sharks and other island life. The Maritime Forest Reserve is 180 acres of trails to see twisted live oaks, insects, deer, squirrels, raccoons, Carolina wrens, and cardinals.